The new Mandala PARABOLA S-DECK shape in an opaque Oxblood tint, sanded gloss finish. Black Mandala logo on deck, Moonlight Glassing logo on bottom. Single stringer. Step-deck style with a single center fin box; fin included. 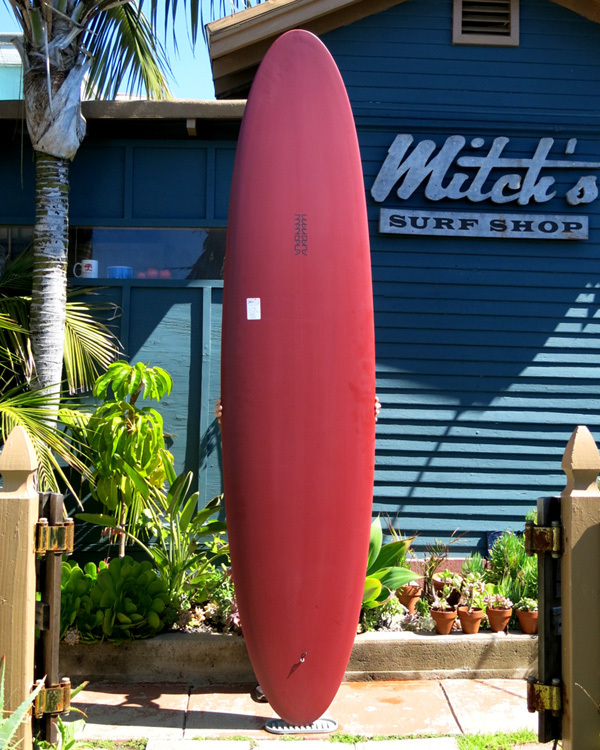 Length: 8' 4" Width: 22 1/2" Thick: 3 1/8"
Nose: 16" Tail: 15 3/4"
Manny's newest midsize step-deck style midsize shape. Hand shaped in polyurethane foam by Manny Caro.